Throughout history there have been at least 150 blood libels – a false charge against Jews that they kidnapped Christian children and used their blood for religious rites. Following these hateful lies, in almost every case, Jews were murdered, either by a mob, or following torture and a trial. The number of Jewish victims is in the hundreds of thousands. Today we are witnessing another blood libel – from journalists not only in the Arab world, but also in the West. Holding positions of incredible influence, the reporters tweet blasé from safe spaces ignoring context and facts. 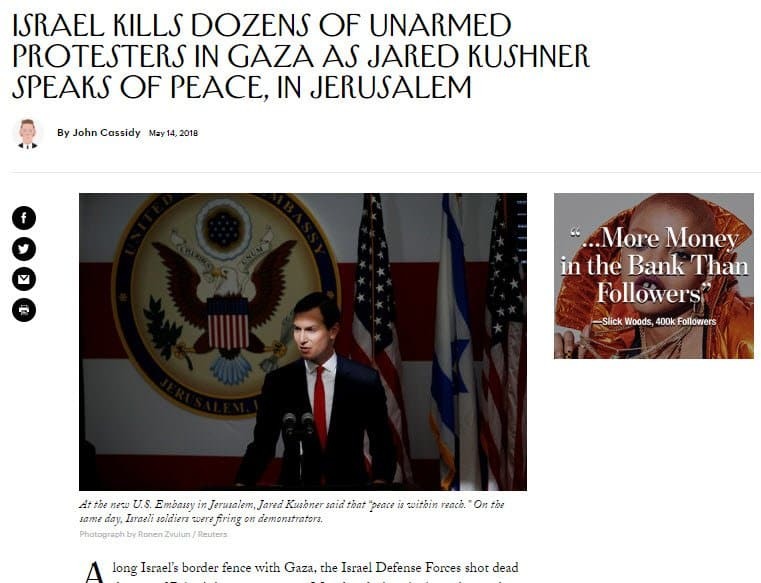 Incredulously, they deem it fitting to sympathize with the worlds richest terror group, savages who prey on victimhood – those have sworn to “tear out the hearts of the Jews.” These journalists show no impartiality, and many are even offended that, so far, Israel has lost no lives. In doing so, these journalists are irresponsibly and dangerously lancing a boil, and the pus of the world’s oldest hatred is pouring out. In the name of “journalism,” a blood libel is happening in front of our eyes. Shame on them all. Every. Single. One.